FAST Driveshaft Speed Sensor Kit UNIVERSAL - Dezod Motorsports Inc - Home of the automotive performance enthusiast since 2002. 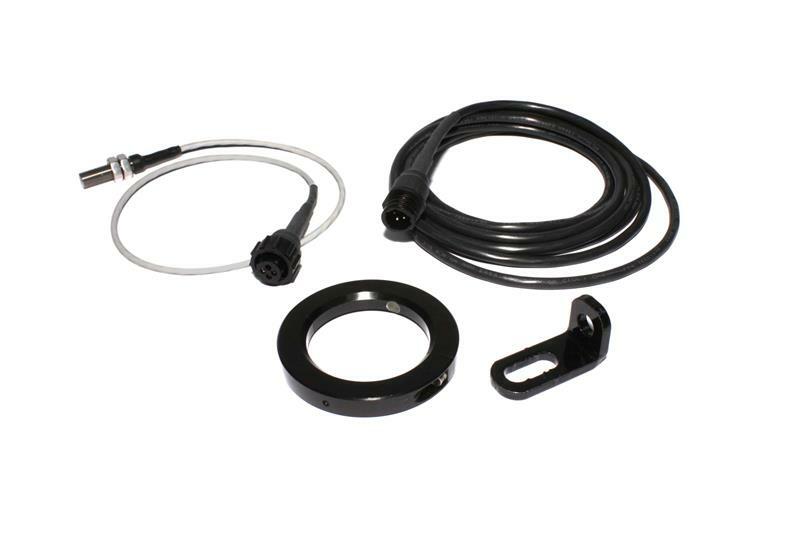 The XFI Driveshaft Speed Sensor Kit from FAST accurately measures driveshaft RPM to provide more accurate data for the traction control unit. Two magnets are fitted to the collar around the pinion yoke, which attaches to the driveshaft. When one of the magnets passes the pickup, it sends a signal to the XFI unit. The XFI uses that signal to calculate driveshaft RPM and also driveshaft acceleration. As a result, The XFI Driveshaft Speed Sensor Kit provides a much more accurate data reading than attempting to determine driveshaft speed solely through engine RPM. The data this sensor provides is perfect for drag race applications. This unit also allows the XFI to display and log miles per hour and miles per gallon.